Hi, my name is Sadie Sprague-Lott and I am a junior at Science Leadership Academy (SLA) and an intern for Parents United for Public Education. When I was looking for an internship this year it was very important that it was something that really meant something to me. 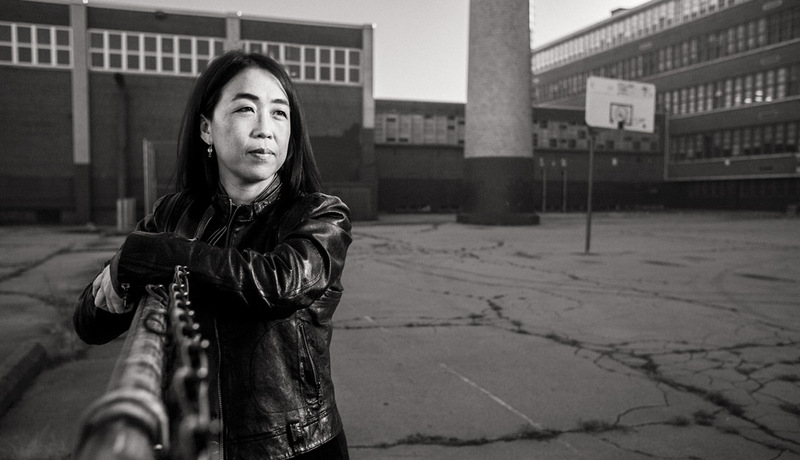 I first met Helen through my mom when they were advocating for students at South Philadelphia High School. Last year student protests over the District budget began, we started meeting over and over again. After I heard about the budget cuts in the Philadelphia School District I became an organizer at my school in trying to prevent them from going through. As a sophomore going into my junior year, I knew I couldn’t stay silent. When the first student walkout happened last spring, nearly 30 SLA students decided to join, including myself. There was an immediate sense of panic when no one knew where they were going or how to organize chants. Since I had been a part of many rallies and knew a couple of chants that could work, I would pass them along to the group and get them started. The first walkout was unorganized and nerve wracking but for us students who finally felt like we had a say we were just ecstatic at the fact that our voices were being heard. The author marched last spring with her fellow students. The walkout made national headlines. The second walkout a few weeks later was slightly different. The first walkout had gotten a lot of attention and more students were interested the second time around. When the news and magnitude of this walkout got to the School District, they immediately sent out a notice to all schools that if any student walked out without permission there would be serious consequences. When this announcement was made in my school, students who were supposed to walk out called parents, asked for early dismissal notes. While some parents accepted the request, others declined and many students at SLA who originally wanted to walkout could not. When I heard news of this I was very upset. A walk out is a sign of civil disobedience and an early dismissal note was not that. Needless to say I did not get one. I just walked out. That day however changed my life. 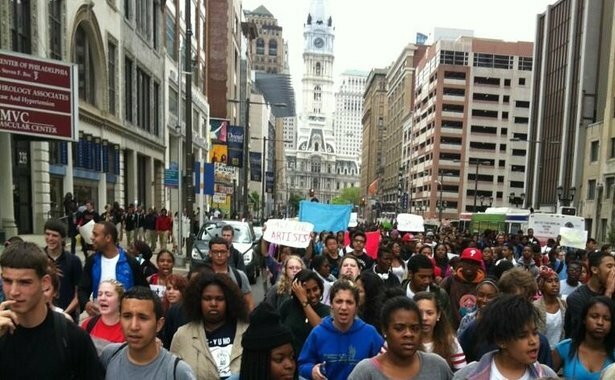 Over a quarter of my school walked out and we were joined by more of our classmates after school ended.We marched from 22nd and Arch to Broad and Spring Garden with nothing but excitement and the feeling of invincibility. 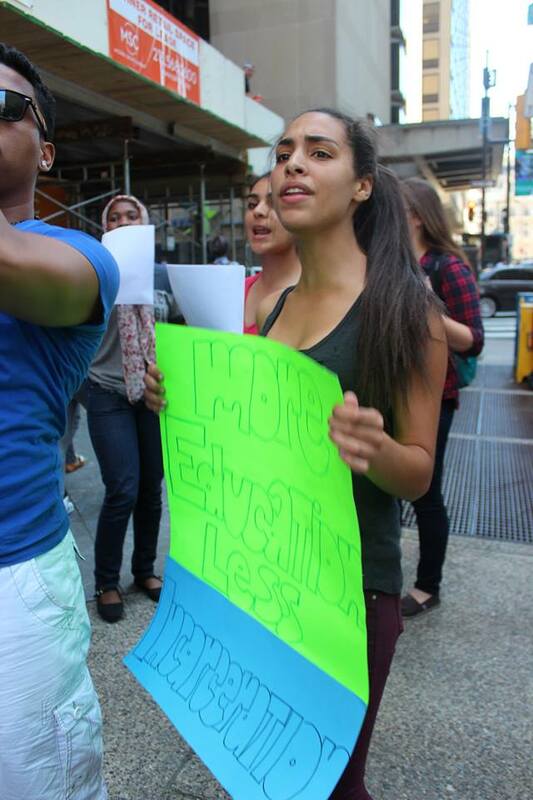 Thousands of students from all across the city came together that day and stood up for what they believed in. Ever since that day, I have thought about student voice and the importance and power of it. All the schools I have attended have supported me – from Independence Charter School to Masterman and now Science Leadership Academy. I have always had people in my corner to tell me what was right and what was wrong. One of the things I have always valued is learning as much as possible from many generations of people who have faced struggle. I knew that in looking at something as complicated as budget cuts and the School District’s political situation that we students would need to learn a lot. Going into this there were many things that we did not know about and that we needed help understanding. It did bother me that some students didn’t seem to help the situation by saying and doing things that hurt our message (some students held up signs at the rally that said “The School District is stupid”). I don’t think it was ever any student’s intention to present themselves in a bad light, but we do need to reflect on our message and how to present ourselves in order to best handle situations and make our voices stronger. We need more people in our student struggle to give us the knowledge to fight for what we believe in and with a purpose and the right knowledge to do so. This is the reason I decided to intern with Parents United for Public Education. I hope that in learning about the broader issues of work they are engaged in, I can begin to apply those same ideas and practices to my student organizing. I also think parents have a lot to learn by listening to youth voices. There is a quote by John Denver that says, “I would so much like young people to have a sense of the gift that they are. Not many of them feel like that.” These past few months I have been able to see the ins and outs of what is going on in a school district where students do not always seem to be the main priority. Seeing last year how many students wanted to fight for something that meant so much to them just proves that there is a drive in every one of the youth especially when it comes to our education. Through this blog I hope that the voice of the students is portrayed and that students can become more educated on things going on in our communities with our education. Whether it’s the governor’s election, universal enrollment, or other issues, too many students are left in the dark. Not only should we youth know about things which could impact our lives so greatly, but we also need information to make the difference. I really look forward to doing this blog and I am hoping that the dialogue that comes from it will help us make a difference together! amazing! We need more great young people like this young woman sadie! So proud of your work in philadelphia. Sadie, kudos to you for such a powerful and insightful article. You make me even more proud of being an SLA mom. Great job.